Predictive analytics is about to transform the residential real estate investment property industry Predictive analytics can help investors understand the proverbial question, ” How good is the area?” and in turn better manage risk. Over the past few years as Wall Street hedge funds have aggressively moved in to single family homes as an alternate asset class many of these investment funds have been creating their own models for determining the risk associated with a particular property. 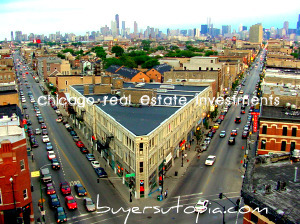 … purchasing a triple net lease investment property, the investor may be able to develop an advantageous buying strategy based on the profile of the property seller. 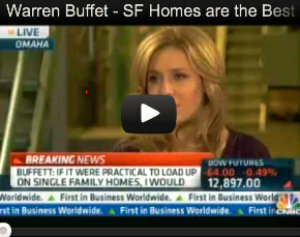 … Properties with little to no money down! Even better, you can really mitigate the risk of your investment since you are ultimately committing to very little with the seller! The single family rental market has historically been a fragmented market funded with capital from smaller mom and pop type investors. Institutional investor interest has increased significantly as the large foreclosure inventory combined with a secular shift toward renting has created the possibility of larger-scale investments in the space. Private Equity and Institutional investors interested in acquiring bank-owned properties are currently flooding the market throughout the country and had been estimated they have raised anywhere from $6 to $8 billion. … today’s real estate market, record low prices and significant windfall opportunities mean that more and more people are turning to off market selling. With potential of better prices and higher quality bidders, “off market investment property” deals are growing in popularity. What Is An “Off Market Investment Property”? An off market investment property is simply a sale that takes place outside a formal setting. These deals are usually negotiated privately between buyers and sellers or their brokers. Off market trades go on in private out of the public eye. … recently utilised capitalization rates for 26 markets to measure the rental returns generated by single family rentals across the nation. According to the findings, CoreLogic discovered that the most lucrative opportunities for single family REO’s to rental investors are in the Midwest and Florida due to adequate stock of potential REO property and also due to the high cap rates. … real estate investors are learning how to use a Self Directed Individual Retirement Account for acquisition of investment property and it is proving to be a sound strategy for a number of reasons. For over ten years, the state of Georgia excelled in many areas, including housing. The state was heralded as a top-growing U.S. region. Then it happened; the real estate market took a severe nose-dive. Cities and states throughout the nation suffered at the hands of a brutal economic crisis, and The Peach State was not spared.